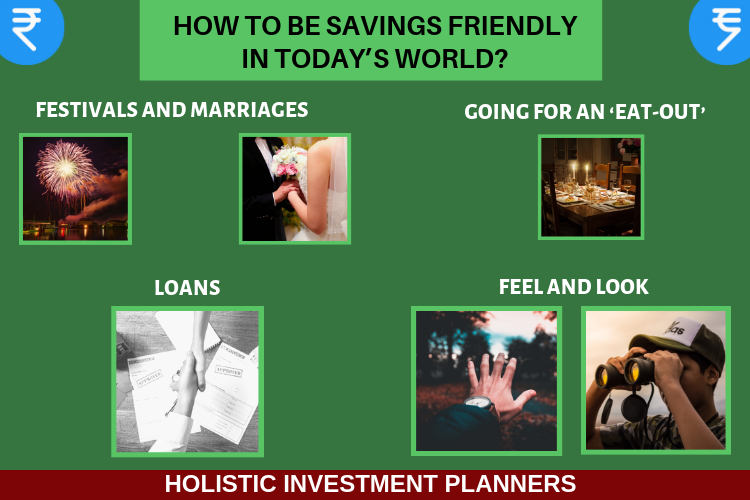 How to be Savings Friendly in today’s world? India, unlike many developed countries of the west, is more savings friendly. By being savings friendly we yearn to save more out of our disposable income, irrespective of the level of our earnings. Warren Buffet advocates that one should focus on savings first and then whatever is left should be spent. Indians are predominantly festival lovers and they go to great lengths to celebrate such festivals in style. 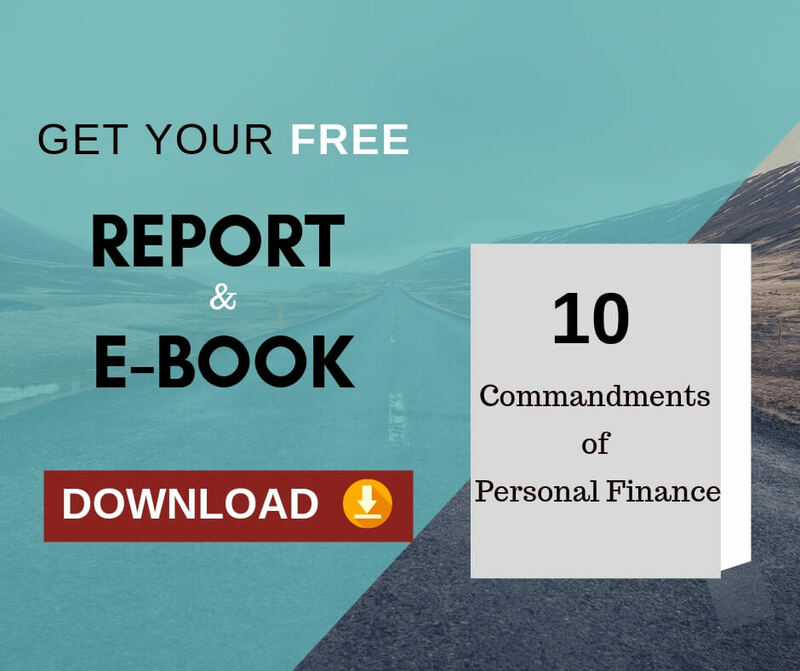 People usually spend on the basis of their financial standing; however there are times when they spend beyond their means and thereby end up in debt. The same applies to marriages. A lot of people stake a major portion of their savings and avail of loans to get their wards and relatives married off. This causes a huge dent in the savings of the individual. Available reserves and savings are exhausted and this can result in financial insecurity in the later stages of life. “Neighbor’s envy, owners pride”, was the tagline of a famous television brand, around a decade back. This phenomenon of envy and pride drives people to spend beyond their means. The perception of status and the tendency to associate items and goods with such status is perhaps a human trait, however when such perceptions drive people to make impulsive purchases of luxury items, and goods then immediate finances can take a hit. Prioritizing one’s needs and sticking to such priorities while spending and saving is the key to stable financial health of any household. It is often that people opt to buy a big car in place of their fuel-efficient medium sized hatchback, just because a friend, relative or neighbor has one. The same applies to holidays abroad too. These expenses are substantial and most of the time they are unplanned which results in straining the financial seams of the household. The current crop of young professionals earning generous pay-cheques, have the proclivity to opt for ‘eat-outs’, far more often, than what people used to do earlier. The heady feeling of nice décor, sumptuous food and smooth manners from the restaurant staff make these people feel good. It is this feel good factor that drives them to spend more than they should have. Consumption patterns of this nature leave very little disposable income at the end of the day and hence savings are a casualty. The home delivery of food has become nice and easy today. Smartphone armed individuals take to numerous applications on their phones to order food from outside, paying as much as thrice the price. This easy way out is the answer for professional couples working late, returning home tired and are unwilling to cook. The consequence is higher expenses and lower savings. Today’s world is more image-driven. The need to look and feel good is very important now. Self-grooming is the key to drive up self-esteem. This grooming can often be in the form of new clothes, shoes, accessories, mobiles and other gadgets. All of these “feel-good” factors can only be satisfied at a cost. Relentless advertising, propaganda and marketing endeavors lead people into the make believe world of “feel-good” and hence happy syndrome. Costs and expenses rise naturally and it is often that people buy much more than they need. They try to overreach and spend beyond means at times and end up in debt. India is better off in comparison to other western countries in their generic interest to savings. However there are rising instances where people overspend in their effort to achieve a status in the society. They resort to formal and informal loans at a very high rate of interest. Such loans reduce the disposable income further. It is very important to remember that loans should be resorted to only in case of an absolute emergency. Whether or not one should avail a loan, should be a wise decision and not an impulsive one. As a thumb rule no household should have loans in excess of 40% of their incomes. 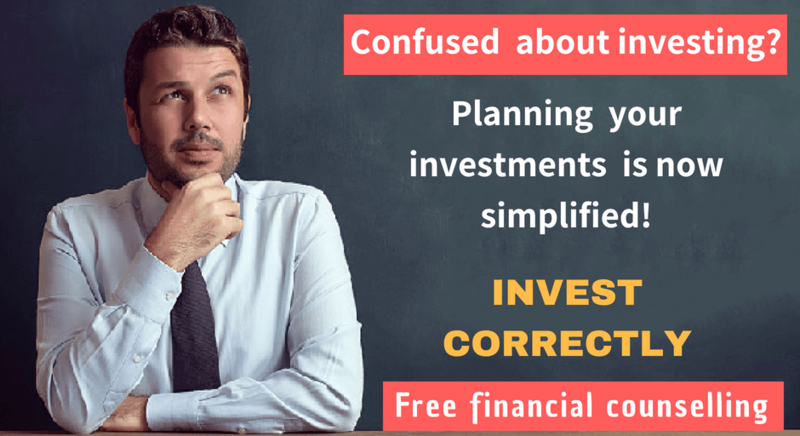 If you could avoid the above mentioned financial traps of today’s world, you can be savings friendly. Do you really think these savings tip will bring changes to your financial life? Share your views.